The fax station illustrates digital data transmission for children and teenagers. 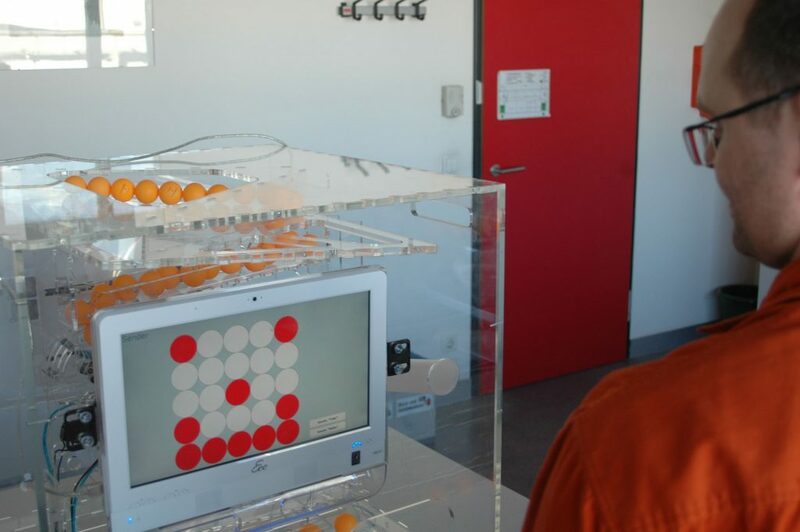 This exhibit was developed in cooperation with the company HolliNetz consulting for the initiative KET – Kinder erleben Technik (Children experience technology), to visualize binary communication. 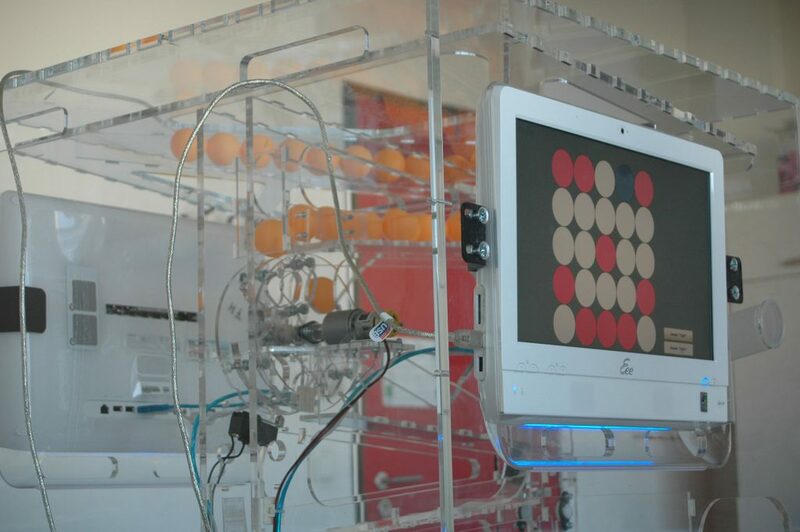 Two touchscreens, which are built into Plexiglas boxes, act as sender and receiver of a message. 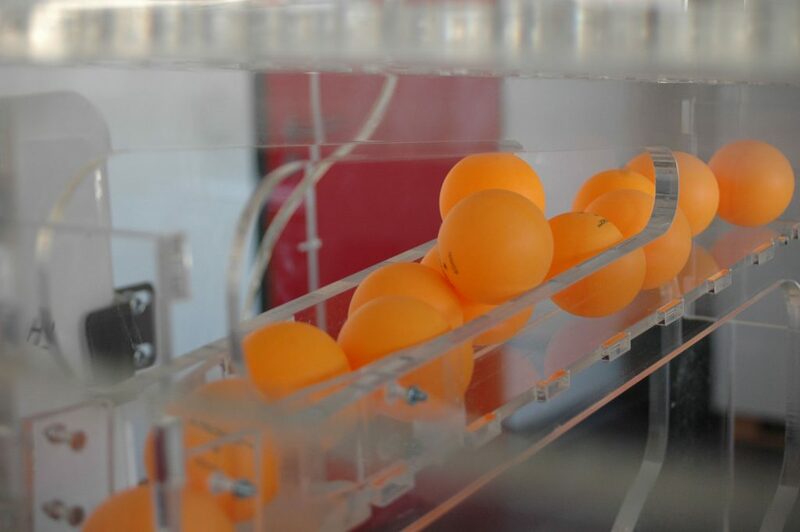 When a message is send from the sender to the receiver, the communication is carried out with balls, which are transported by a mechanism to the receiver and are recognized with optical sensors. This allows to visualize also problems and errors of data transmission.